Hip-hop has long brought people together who&apos;ve fought for social justice. Celebrate its present and future during the day with film, a Hip Hop American Idol, B-boy/B-girl dance battles, a poetry/storytelling open mic, DJ&apos;s all day and a Hip-Hop Marketplace. Get a fade haircut, a Henna tattoo, your face painted or have a graffiti artist tag a shirt or a bag with your name! Go next door to G-Man and see an amazing Pop Up Hip Hop Art Gallery! Plus, $10 fade haircuts, a Hip Hop Art Gallery (curated by Kevin Coval and The Graffiti Institute) and a Hip Hop Boutique with vendors including GoWhere HipHop, City of Win, Alex Carter and others! 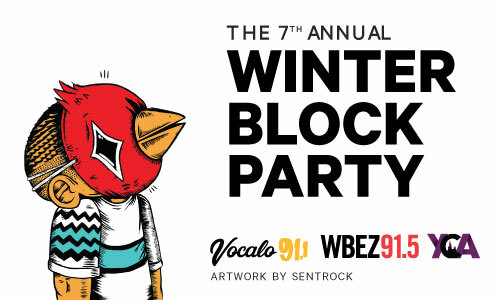 In the evening, join us for a ticketed concert blow-out as we debut the LTAB 2016 Mixtape! Evening tickets can be purchased in advance HERE or can be purchased at the day time event.